Enough is Enough, Naughty Bear! They laughed at you, played pranks on you, and even insulted your good gestures when you attempted to do a good deed. 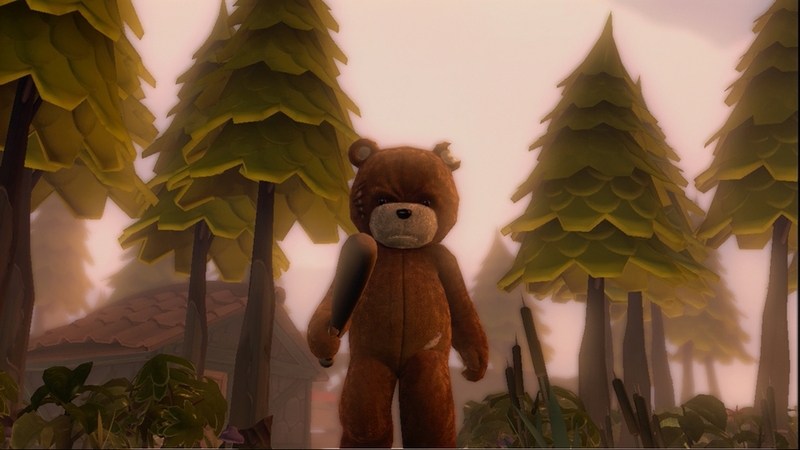 I think you should show the residents of Perfection Island that you are the wrong the Bear to mess with. Tear them apart! 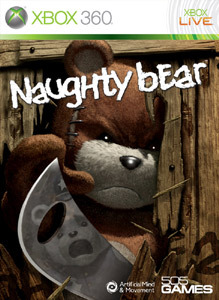 Naughty Bear is an third person action game that feels very similar to Manhunt and even Hitman, as you will stalk and kill your enemies while completing short objectives to advance to the next level. A score based system doles out points for just about everything you do, and rewards for creativity, combos, and speed. If you’re connected to Xbox Live while you play, your friends score is displayed in the top left corner, and adds a little competition the single-player portion of the game. 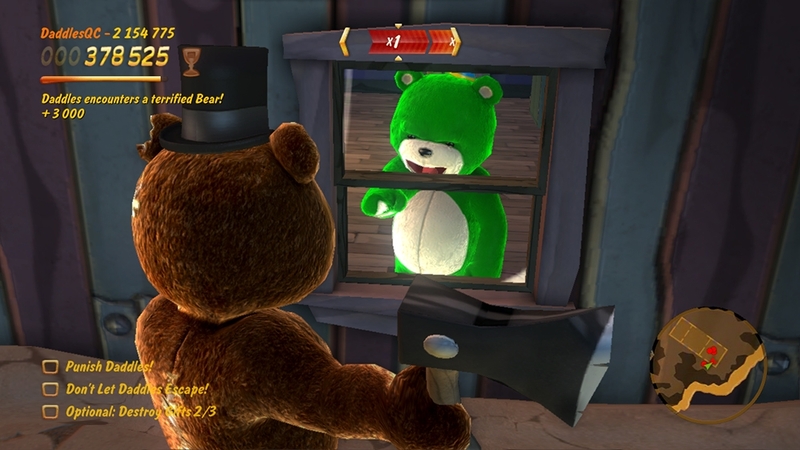 The Campaign consists of episodes, seven in total that feature Naughty Bear’s key enemies as the main Bear you must take out at the end of each mission. 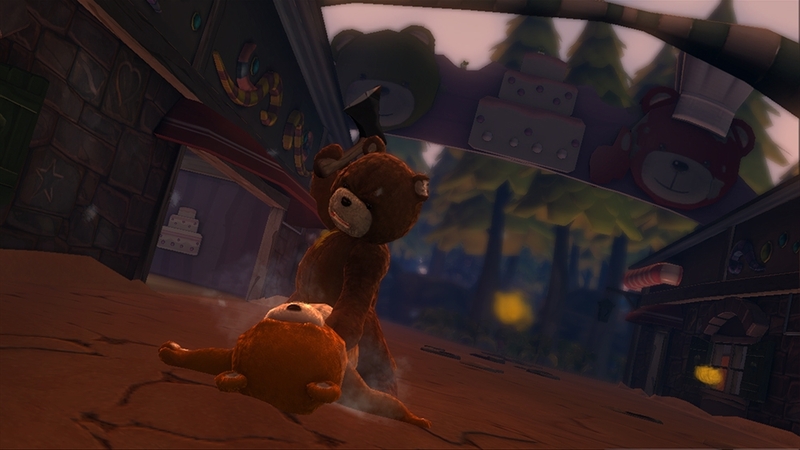 Each episode has a few objectives along the way like collecting props and reaching a minimum score to complete it, and all the episodes feature a new type of bear to meet like the Zombie bear, Military Bear, Alien Bear, and Ninja Bears. Each story episode goes by quickly, and each has challenge episodes that you must beat in order to unlock the next story mission. The Stories themselves can be beaten pretty quickly, so the re-playability in this game comes from racking up a nice score, unlocking new costumes, and the multiplayer. Multiplayer is pretty basic in this game. There are a few modes to play with up to four players, but connections problems occurred many times when I was trying to play in a match. The game is actually pretty fun, but there are a few things that can be major downers. The game would constantly freeze at the very end of episodes and the Bears would get stuck a few times around the level resulting in me not being able to gain certain achievements. 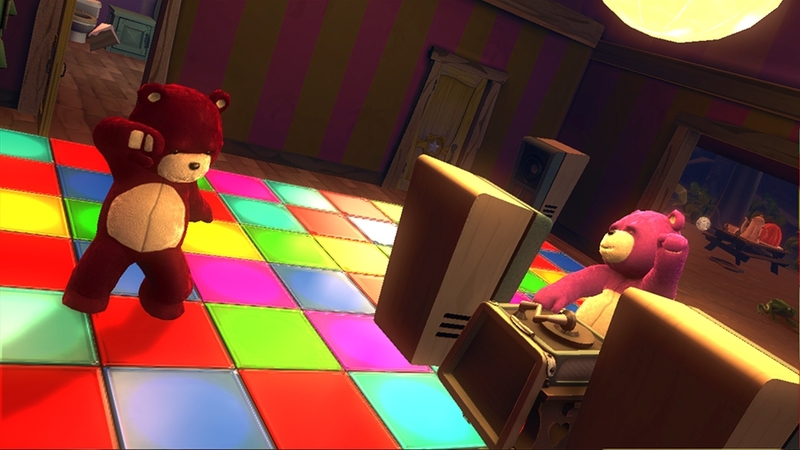 The level design as well was a negative factor since there are only three unique levels that get recycled during the seven episodes. Overall this is a pretty fun game at the basis, but there are a few technical errors that get in the way of the fun.